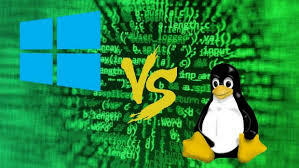 Linux is a stable, reliable and complete computing platform when compared to other commercial operating systems available. Linux, currently, is increasingly being used in businesses as a back-end server. It serves as a file/print/webserver sitting in a corner of a server room, executing jobs faithfully and reliably. Linux will be used more and more in what it does best – as a server. Linux will move from the server rooms of these offices to the desks of the users. The number of productivity applications for Linux is growing and will grow to reach the critical mass where, Linux will be a viable alternative to the most popular of the desktop operating system environments. Linux Delhi will actively participate in the growth of Linux in Delhi – both in corporate and homes. 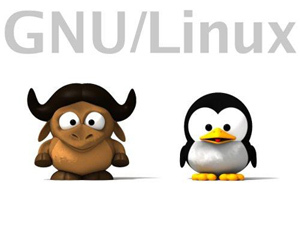 To achieve the objectives of Linux Delhi, the growth of Linux User Groups in Delhi is a must. Linux Delhi helps in whatever way possible all the user groups in Delhi– whether they are associated with us or not. This includes but not limited to helping in procuring latest Linux software, technical help. To this extent we are exploring opportunities to tie-up with various Linux vendors. Technical support is always a need for new users of computers or Linux. Linux Delhi provides support to all the new users through the mailing-list and provides information through the website. Creating a group of volunteers, who can provide installation support onsite or through phone is also being considered. Install Fests and seminars are being planned for dessimenating information about Linux. Finally at Linux India we would like contributions from Indian programmers to free software world to grow. The Linux India Organization is a set of people, organizations and institutes that are loosely knitted together by their interest in Linux and Free/Libre Open Source Software (FLOSS). The glue that holds Linux Delhi together is the mailing lists (see the Resources page) and this web site. You can be part of this group too. Just subscribe to the mailing list(s) that your are interested in and start posting your thoughts, queries and answers. Since there is no formal registration process, you don’t have to pay a single paisa! You can also use the resources on this site to create your own web site, register a LUG if your are part of one, participate in the online discussions and post information about Linux/FLOSS-related news, events and jobs.